Fruit; very similar to Nonpareil [which see]. Skin; greenish of yellowish green, covered with brownish-red tinge next the sun, sprinkled with russet dots and a thin coating of grey russet. flesh; greenish, tender, crisp, very juicy and sweet, rich flavour, but not as rich as Nonpareil. [HP pl.XXI/1878]. Similar to Nonpareil in growth. 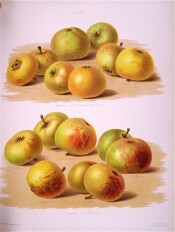 A good dessert apple, November to April. [HP pl.XXI/1878]. 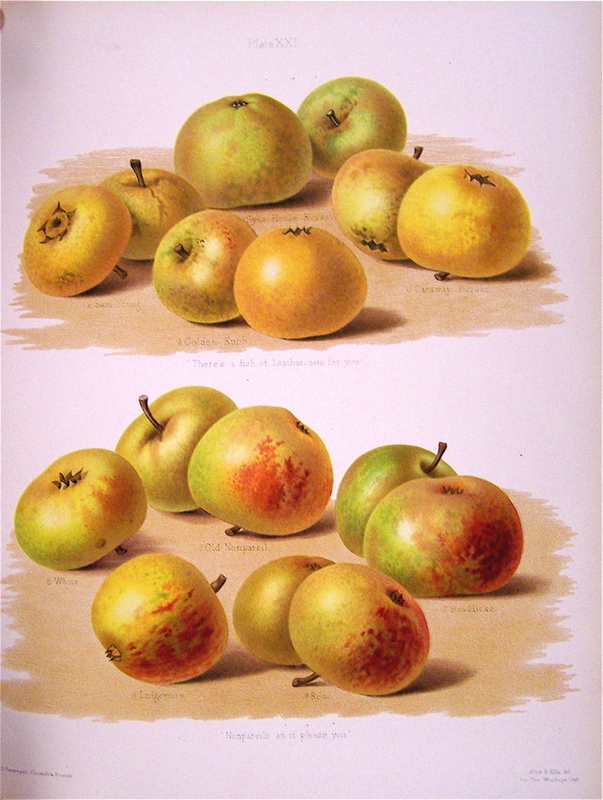 Listed in the 1845, 1850 and 1857 catalogues [Apple no.31/1845]. The identification of Macarthur’s ‘White-wooded Nonpareil’ is uncertain, but it is probably the ‘White Nonpareil’ described here.